#ThatBusinessShow – weekdays at 8am on 1250WHNZ and available via the iHeart media app on your smart phone or at http://www.tampabayradio.com! Please connect with me at twitter Jamie_meloni and facebook at http://www.facebook.com/thatbusinessshow. 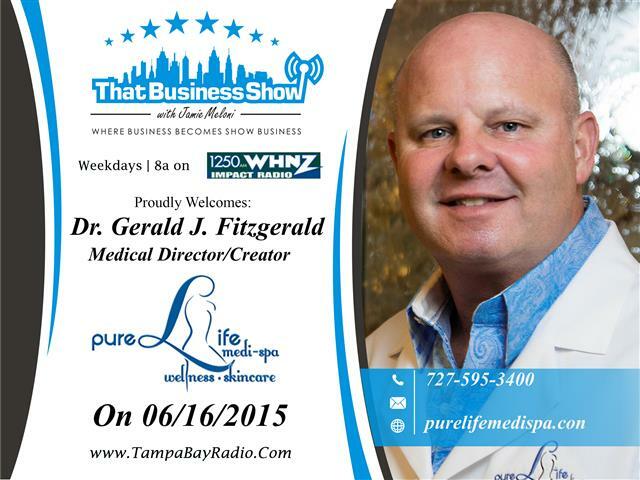 Opening up the show today was Dr. Gerald Fitzgerald, aka Doc Fitz, as his patients know him. Doc Fitz is a welder turned family practitioner Doctor located in the Largo/Belleair area and has nearly 20 years of experience now in the medical field. He is triple board certified and worked under Dr. Henry Gershowitz who was a pioneer in the field of human genetics when he was younger. He is also on the staff at the Largo Medical Center and is the Director of Oak Manor Nursing Home and Wright’s Nursing Home. He is the US Patent holder for a ground breaking invention that will greatly impact the diagnosis of colon cancer and discussed that patent and how it works on this show. The Doc is also the official physician for Warner Bros. Films and has worked on many films including Magic Mike, Dolphin Tale and Spring Breakers and shares some of those stories on this segment. The Doc is a highly entertaining Doctor and is eager to help you and your family in their health and wellness needs so please reach out to him at http://www.purelifemedispa.com or phone at 727-595-3400 for more information! 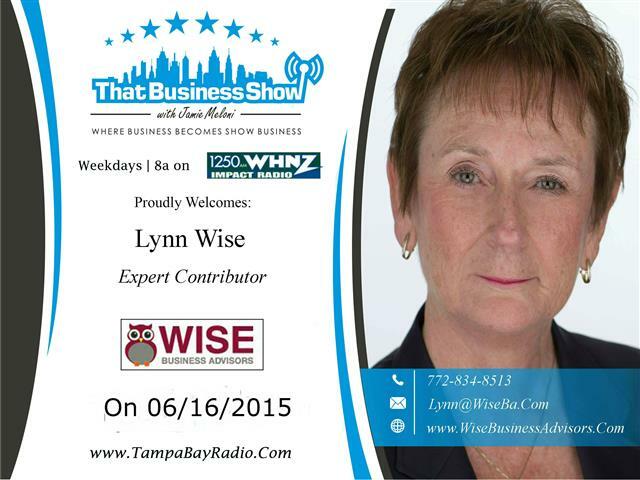 At the bottom of the hour, Lynn Wise, Expert Contributor to That Business Show and Founder of Wise Business Advisors, called in to discuss one of her many services she offers to Contractors. Lead generation is an that confounds many contractors as they focus on doing the job each and every day in the field but neglect the back end of their businesses which include the marketing among many others. Lynn assists Contractors in lead generation through the use of social media and will work with Contractors to generate a lead funnel to your Facebook fan page utilizing some techniques and tips she has picked up through experience and study. This along with assistance in the areas of customer service, marketing plans, and website design and consultations are just a few of the many areas that Lynn and Wise Business Advisors are available to assist you in as a Contractor hard at work in the Tampa Bay Region. Lynn offers Contractors who mention that you heard her on the radio a free consultation on ways she can help grow and support your business. Reach our to her today at 772-834-8513 or email at Lynn@WiseBA.Com and visit http://www.wisebusinessadvisors.com for more information!